You can't learn about electricity without learning about Ohms Law. Named after Georg Ohm, a German physicist, the law was first published in a treatise in 1827. It states that the current flowing between points through a conductor is directly proportional to the potential difference across these points. The Law describes how voltage, current and resistance in a circuit interact with each other. Current in a circuit is directly proportional to the voltage applied, and is inversely proportional to the resistance. In this equation I represents the current flowing through the conductor in amperes, the E is referred to as a voltage (V can also be used in this formula and it represents the potential voltage difference measured between two points) and R represents the resistance measured in ohms (Ω). This means that Ohm’s law says that R in this relation is constant and does not rely on the current or voltage. When free electrons are allowed to flow, uninterrupted along a conductive path, an electric circuit is formed. This continuous flow of free electrons through the circuit conductor is called an electric current. The driving force behind the flow is called the voltage. The voltage is a precise measurement of how much potential energy exists between two points in order to move the electrons. Without the two points as a reference, the term “voltage” loses its meaning. Free electrons usually move through conductors with some degree of opposition to motion or friction. This friction is called resistance. How much current flows through a circuit depends on how much voltage is available to motivate the electrons and how much resistance there is in the circuit to oppose the flow of electrons. Like voltage, resistance is the relative quantity between two points. This is why voltage and resistance quantities are often said to be “between” or “across” two points in a circuit. The symbol is the alphabetical letter assigned to represent the quantity in algebra equations. Physics and engineering calculations commonly use internationally recognized letters of the alphabet to represent certain elements or units. The abbreviation is a short form for the measurement. The abbreviation for resistance is the Greek letter Ω (omega). In the treatise, Ohm described how to measure voltage and current flowing through simple electrical circuits made up of wires of various lengths. His representation to explain the results of his experiments was a more complex equation than the one above. The above equation is the modern form of Ohm’s law. Here J is the density of the current in a particular location on a resistive material, the E represents the electric field at the location, and σ represents the conductivity. This version of Ohm’s law was developed by Gustav Kirchhoff, also a German physicist. These three units of measurement were all named after men famous for their experiments with electricity. You already know the ohm was named after Georg Ohm. But, you may not know that the amp was named after André-Marie Ampère and the volt was named after Alessandro Volta. The symbols representing quantities are always written in capital letters, except when the quantity describes a brief instance. For example, a battery has a stable voltage and would therefore be symbolized by a capital E. The voltage at the moment lightning strikes a power line would probably be symbolized using a small letter e or v, to indicate that the value was recorded in a brief instance. When you begin learning about electricity, you will probably be taught about another foundational unit used to measure electricity – the coulomb. However, this measurement is rarely used in practice. The coulomb measures the electric charge directly proportional to the number of electrons in an imbalanced state. The electric charge of one coulomb equals 6,250,000,000,000,000,000 electrons. The quantity of the electric charge is symbolized by a capital Q, and the abbreviation for the unit of coulombs is capital C.
When you are working as an electrician, some common terms you will hear will be ohms, amps, volts, currents and circuits. All of these terms and their meanings may seem overwhelming at first, but after a while they will be second nature. 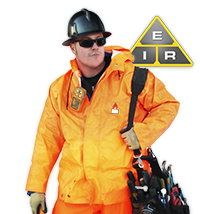 You will be able to take your multimeter and instantly understand what the readings mean. To recap – Ohms law states that the current flowing between points through a conductor is directly proportional to the potential difference across these points. 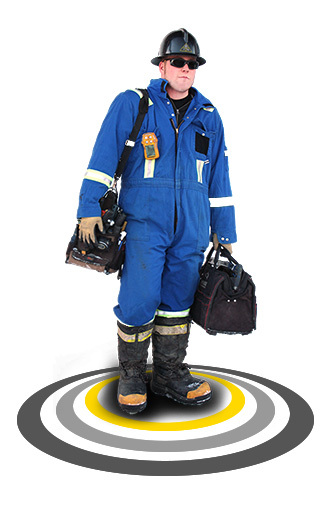 In order to best help you with finding Basic Electrical Theory Training I've partnered with 360 Training. Click Here to challenge your knowledge on Ohm's Law. 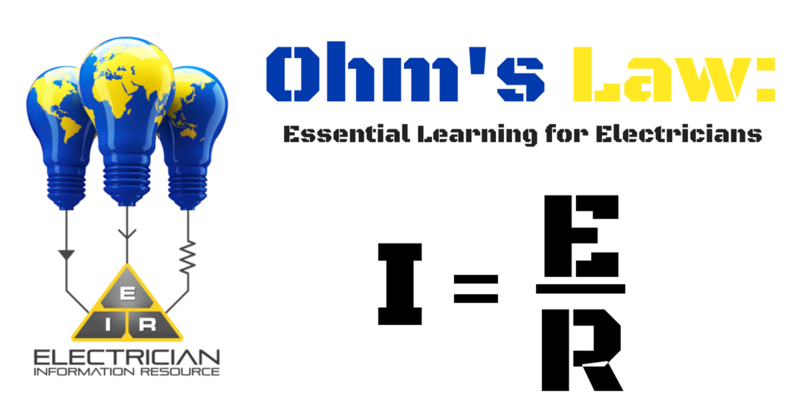 Enjoy some further reading into Ohm's Law Here.